LOS ANGELES, Jan. 20, 2014 /PRNewswire/ – Earthquakes, fires and other emergencies strike suddenly. 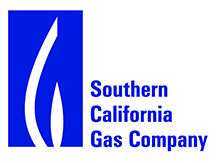 Southern California Gas Co. (SoCalGas) is reminding customers about the importance of being prepared for California’s next major emergency. 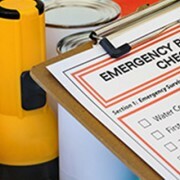 Know where your gas meter is located and keep a 12″ or larger adjustable wrench with your emergency supplies, near your building exit or next to your gas meter shut-off valve. Do not store the wrench on the gas meter or other gas piping. Even in the case of an earthquake or other emergency, turn off your gas meter if you smell gas, hear gas leaking or see other signs of a leak —and ONLY if it is safe to do so. DO NOT ignite a flame or use any electrical appliances, light switches or other devices that can cause a spark until you’re sure there are no gas leaks.